Saint Catherine of Sienna Parish reaches out to families and friends of those with special needs, talents, gifts and abilities with a true sense of awareness and care. Our property and buildings have entrances with access ramps; our Sienna Center has an elevator which provides access to our Church, Saint Catherine of Sienna Chapel and our Holy Family Prayer Room. 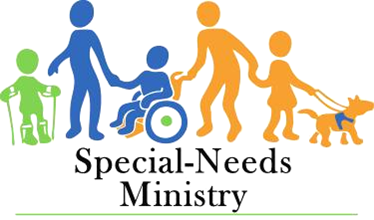 Masses celebrated for Those with Special Needs are held in the Saint Catherine of Sienna Chapel that is completely handicap accessible from main entrance on Holzheimer Street on third Saturday of each month, except July and August, at 3:00PM which fulfills the Sunday obligation. We also work together with surrounding parishes in nearby communities which hold Mass for Those with Special Needs on the first and second Saturdays. Our parish hosts an Evening of Respite which is geared for the families of those with special needs and abilities by providing an opportunity for the caretakers to ‘enjoy an evening out’ as their special person participates in a variety of supervised activities in a safe and secure environment. The dates are published in our weekly bulletin.